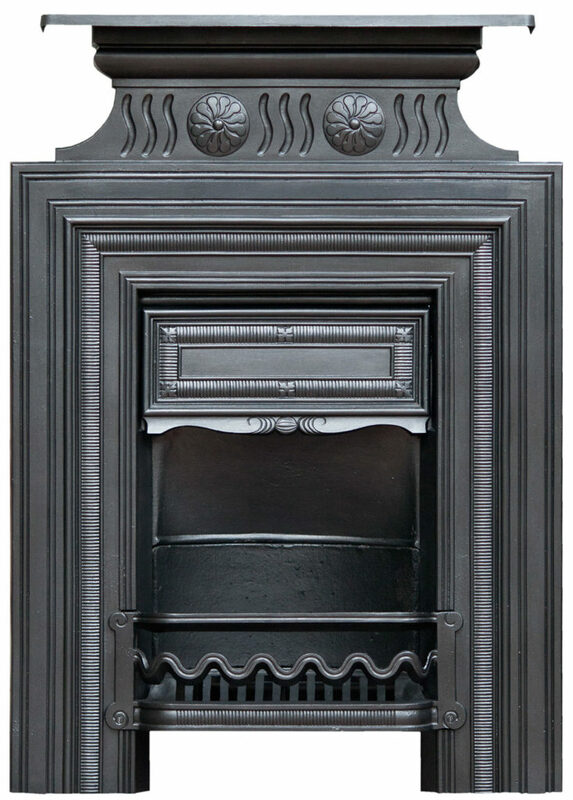 Arts and Crafts Fireplaces | Antique Fireplace Restoration Co.
An Arts and Crafts fireplace combination grate. Before the rise of Art Deco and around the same time as Art Nouveau’s popularity, there was another art movement that was popular. That of the Arts and Crafts Movement. The Arts and Crafts Movement gathered momentum in 1887 and emerged as a reaction to industrialisation. It has the same swirls and flourishes as Art Nouveau and its greatest exponent was artist and socialist, William Morris. As well as fine art, the Arts and Crafts Movement inspired fireplaces and architecture. As seen above, this combination grate was typical of many fireplaces from the turn of the 19th century. Some cast iron fireplaces of the Arts and Crafts Movement have the floral patterns seen on printed work. Sometimes, the rustic patterns can be seen on carved wooden fire surrounds. The mantelpiece may be carved with a motto. Among the most famous legacies, besides its decorative works and countless fireplaces, is the Red House on Red House Lane, Bexleyheath. It is now in the care of Historic England and open to the public in its restored form. It was designed by Philip Webb and William Morris, with windows by Edward Burne-Jones. Whatever your taste in fireplaces, we have a wide range available for sale at competitive prices. As stocks are limited, please order quickly to avoid disappointment. The Antique Fireplace Restoration Company, 13 June 2017.